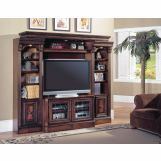 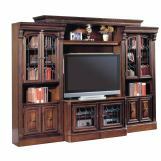 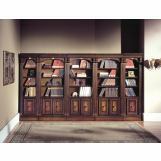 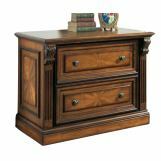 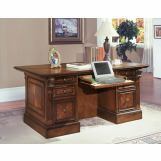 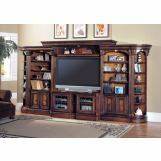 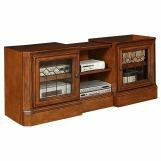 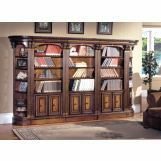 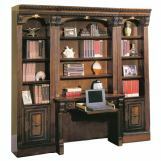 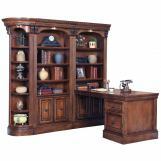 Instantly create a warm, sophisticated, and luxurious atmosphere in your home with the Huntington Collection of fine home entertainment, home office, and home library furnishings. 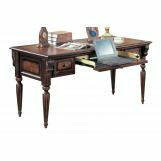 A rich Antique Vintage Pecan finish with gorgeous accent shading, highlighting, hand distressing and medium sheen top coat adds incredible depth and highlights the intricate details in the traditional English design of the collection. 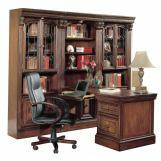 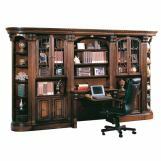 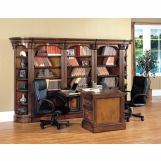 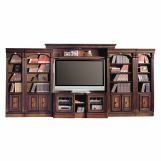 This collection is created from numerous individual pieces that can be combined to form these substantial wall systems that incorporate ample amounts of storage space, desks, working stations, and entertainment centers. 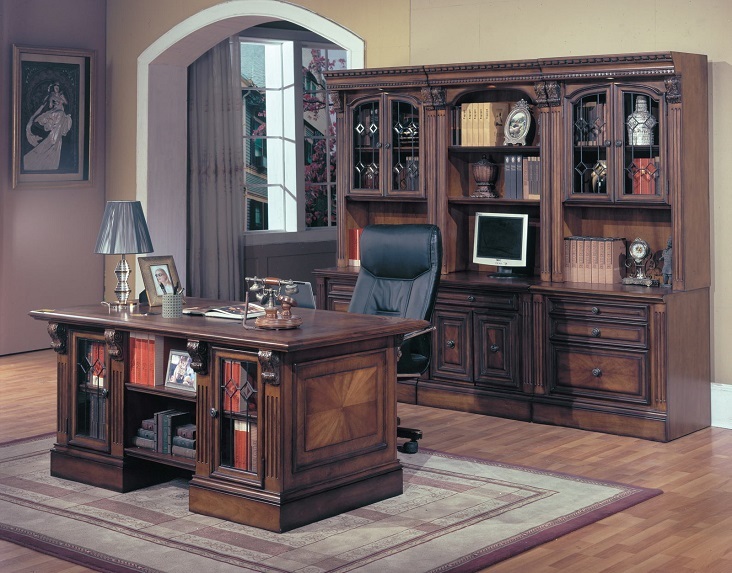 Intricate details, beautiful wood tones, dazzling accents, and an infinite number of custom configurations making Huntington collection distinct and gives you the ability to create the perfect setting for your space and your personal needs.